Our Taste Local Flavor Recipes are inspired by the farm-to-table culinary experience, with a twist. 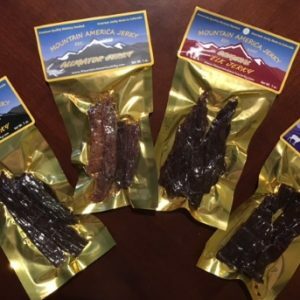 We incorporate locally brewed artisian spirits in our marinates to create a unique gourmet handcrafted jerky. 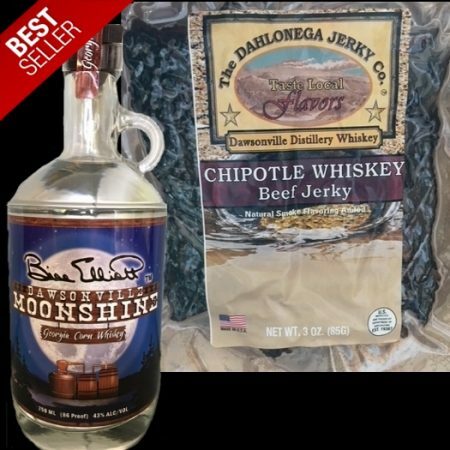 Chipotle Whiskey Beef Jerky is hand made in small batches from from large slab slices of top round beef that are marinated in Dawsonville Distillery’s Corn Whiskey and a blend of sweet and spicy seasoning, a nice chipotle heat. Dahlonega Jerky Co. 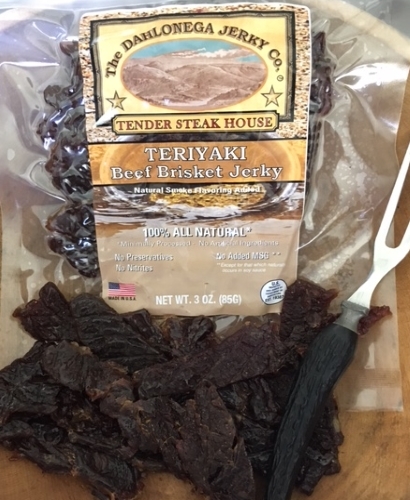 Taste Local – Chipotle Whiskey Beef Jerky is made from a slab cut slices of top round marinated in corn whiskey and a blend of chipotle and sweet seasonings. No added preservatives, MSG or nitrites. Ingredients: Beef (top round), brown sugar, teriyaki sauce, honey, soy sauce, orange juice, water, corn whiskey, Chipotle, garlic, liquid smoke, onion, black pepper, cumin powder.